Following Jesus Christ in Truth Vs. 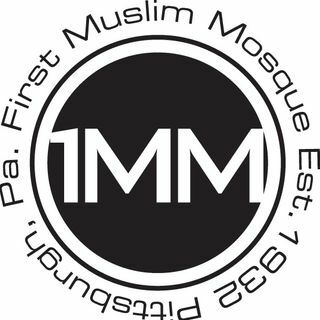 Celebrating "Easter"
This original series of Islamic classes took place ... Maggiori informazioni at al-Masjid al-Awwal in Pittsburgh, Pennsylvania (USA) in the year 1437. This series of lectures was held at Masjid al-Awwal in the city of Pittsburgh, ... Maggiori informazioni Pennsylvania (USA) on 1438.01.14 and 1438.01.15, which corresponds to October 14 and 15, 2016. Moosaa Richardson reads the text and offers an easy-to-follow explanation suitable for Muslims of all ... Maggiori informazioni levels of Islamic education, by the Permission of Allaah. Moosaa Richardson explains Soorah an-Naba', the 78th chapter of the Quran, and helps us understand the language and structure of its amazing Verses. He includes selected points of explanation from great scholars of Tafseer like al-Baghawee, Ibn Katheer, as-Sa'dee, and Ibn 'Uthaymeen. A series of short daily lessons in ... Maggiori informazioni Tafseer, from our special Ramadhan 1437 classes. This short series of three classes was recorded during the summer conference at Masjid as-Sunnah an-Nabawiyyah in Philadelphia, ... Maggiori informazioni Pennsylvania (USA), held from the 16th to the 19th of Thul-Qid'ah, 1437. Moosaa Richardson introduces and reads the classic text of al-Usool ath-Thalaathah (the Three Fundamental Principles), by Shaykh al-Islaam Muhammad ibn 'Abdil-Wahhaab (may Allaah have Mercy on him). He also reads the explanatory notes of the great scholar, Shaykh Muhammad ibn Saalih al-'Uthaymeen (may Allaah have Mercy on him), ... Maggiori informazioni and adds additional commentary.